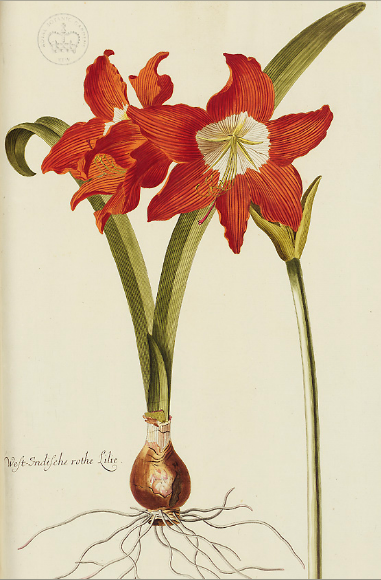 Hortus Nitidissimis omnem per annum superbiens floribus sive amoenissimorum Florum Imagines.... Der das ganze Jahr hindurch im schönsten Flor stehende Blumengarten, oder Abbildungen der lieblichsten Blumen... herausgegeben von Johann Michael Seligmann. Nürnberg, Auf Kosten der Seligmännischen Erben/ Ludwig Wirsing, [1750-] 1772-1786. One in five of the world's plant species is in danger of extinction. That's the frightening conclusion of a study released September 28, 2010, and sponsored in part by the Royal Botanic Gardens, Kew. The study establishes a major baseline for plant conservation and is the first time that the true extent of the threat to the world's estimated 380,000 plant species has been documented. 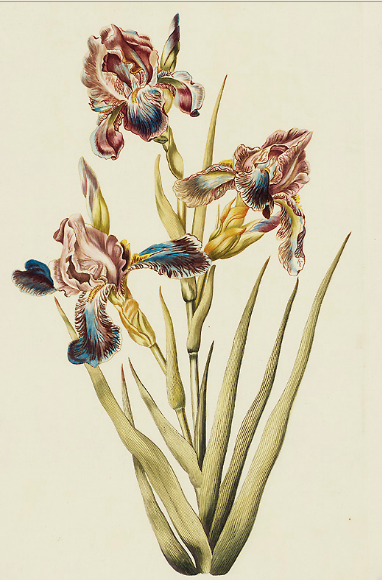 The work relied heavily on the vast repository of botanical information held in Kew Gardens' Herbarium, Library, Art and Archives, which includes some eight million preserved plant and fungal specimens. Kew Garden's Director, Professor Stephen Hopper, says: "This study confirms what we already suspected, that plants are under threat and the main cause is human induced habitat loss. We cannot sit back and watch plant species disappear – plants are the basis of all life on earth, providing clean air, water, food and fuel. All animal and bird life depends on them and so do we." A look at the Kew Garden's website reminds us of another compelling reason plant life must be protected: the infinite variety of botanical species is a major source of the earth's natural beauty. 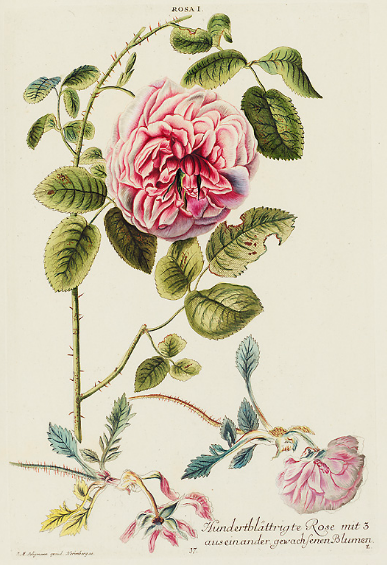 The Garden's extensive library documents the history of horticultural and botanical literature, with more than 750,000 volumes, and more than 175,000 prints and drawings of plants. 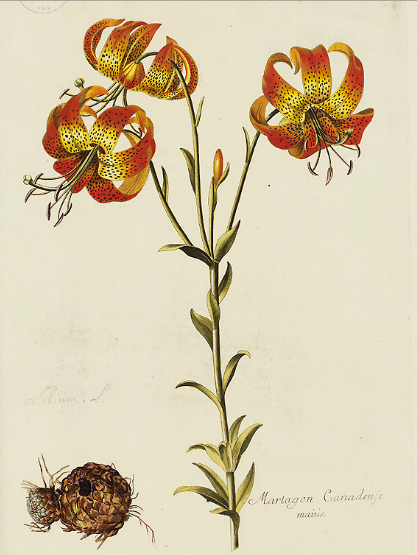 For centuries, humankind has documented the fragile and short lives of plants and flowers for scientific study. Now it seems these rare books are in danger of becoming a catalog of paradise lost. 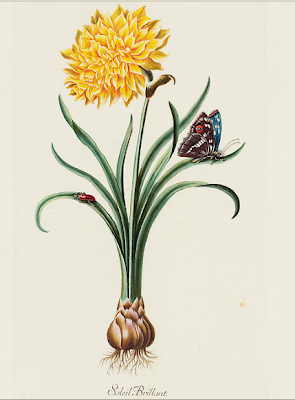 One of the highlights of the Kew Gardens website is an online exhibition of a "complete virtual copy" of Hortus Nitidissimis Omnem Per Annum Superbiens Floribus Sive Amoenissimorum Florum Imagines (1772-1786). 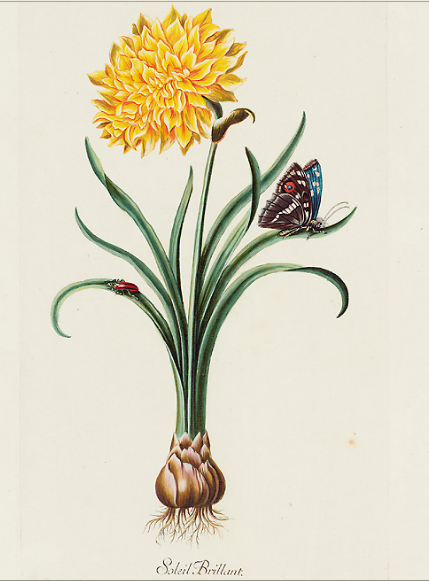 This great florilegium combines the scientific observations of doctor and amateur horticulturalist Christoph Jacob Trew with 180 full color plates by some of the finest botanical artists of the period, including the peerless Georg Dionysius Ehret. Complete copies of this book are exceedingly rare, so the Kew Library digitized pages from volumes held in three separate libraries to create an exhibit of an imaginary perfect text. 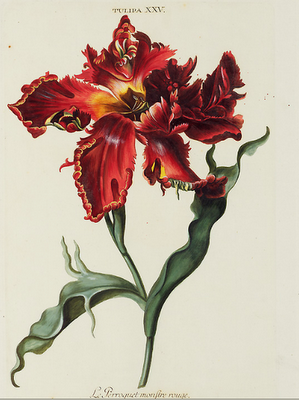 This online tour of "a year in a brilliant garden of exquisite flowers represented in beautiful pictures," is a ravishing and colorful exploration of the most sumptuous blossoms of Europe. Tulips, hyacinths, ranunculi, carnations, roses, lilies and more are all frozen in time at the height of their glory in this splendid exhibit. English art critic Sir Sacheverell Sitwell wrote of the great flower books, including the Hortus, in 1956: "Locked away in museums, and to a lesser extent in private libraries, are beautiful and quite unknown albums of flower drawings that are in prison, as it were, and only visited at rare intervals by a mere handful of amateurs and students. This hiding away and seclusion of original flower drawings which is, apparently, insurmountable and an obstacle to the general appreciation which will never be overcome." Sitwell could not have envisioned the advent of the Internet and digitization, which have miraculously released these "imprisoned" books to the world. 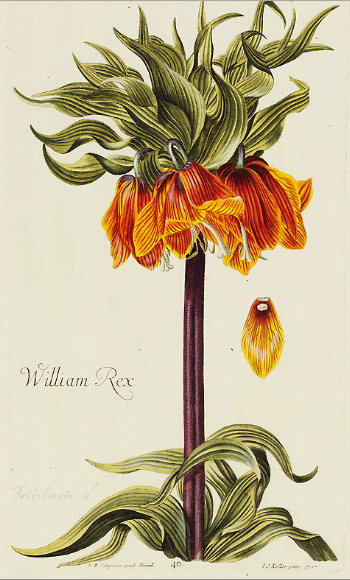 But it would have been equally impossible for him to imagine a world where the plants depicted in these illustrations would themselves cease to exist. On a planet where, according to the Kew study, "Plants are more threatened than birds, as threatened as mammals and less threatened than amphibians or corals," attention must be paid before the beauty of volumes like the Hortus becomes no more than a remembrance of things past.